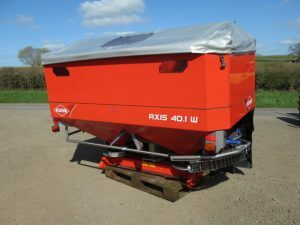 KUHN Axis 40.1W Fertiliser Spreader Fertiliser spreader; 3902 hectares; 398hrs; 2010. 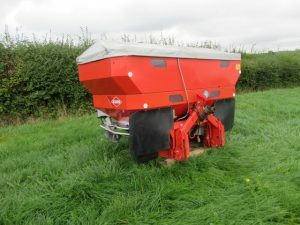 KVERNELAND EXACTA-HL Twin Disc Fertiliser Spreader Twin disc fertiliser spreader with hydraulic shut off, border limiter; immaculate condition; 2012. 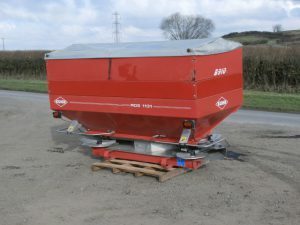 KUHN MDS1131 Fertiliser Spreader Fertiliser spreader with hydraulic shut off and hopper cover.